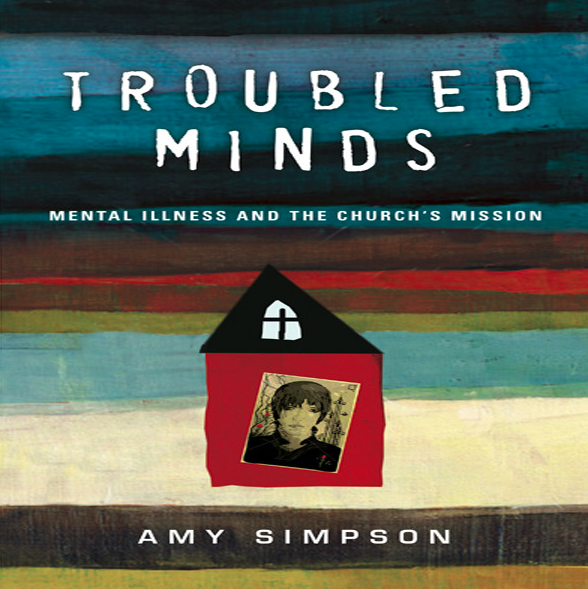 Editor’s note: Our Key Ministry staff and volunteer team is pleased to extend our congratulations to Amy Simpson upon her recognition as a winner of of one of Christianity Today’s 2014 Book Awards for Troubled Minds: Mental Health and the Church’s Mission. Amy is a passionate leader and communicator who loves to encourage Christ’s church and its people to discern and fulfill their calling in this life. 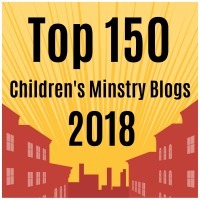 A former publishing executive, she now spends part of her professional life working at Christianity Today as Editor of GiftedForLeadership.com and marriage & parenting resources for Today’s Christian Woman. She has published articles in Leadership Journal, Christianity Today, Today’s Christian Woman, Relevant, PRISM Magazine, Her.meneutics, ThinkChristian, Christian Singles, Group Magazine, and several others. I have worked for Tyndale House Publishers, Group Publishing, Standard, Gospel Light, Lifeway, Focus on the Family, and Christianity Today. Her family’s firsthand experience with mental illness provided the inspiration for her new book, Troubled Minds: Mental Health and the Church’s Mission. Here’s her guest post to kick off the month, Does Your Church Inadvertently Hurt People With Mental Illness? As news coverage has pointed out, the city of Las Vegas makes Nevada a unique state: “The city’s entertainment and casino culture draws people from all over the world…including the mentally ill.” The trappings of Vegas may be more likely to attract people with mood disorders, schizophrenia­, and other conditions—and the same may be said for churches. Spiritual experiences, promises of peace and joy, opportunities for community and for communion with God…these elements of church life are understandably attractive to many people with mental illness. Churches have a special responsibility to recognize this and respond intentionally. – ­Do you make people with mental disorders feel unwelcome? ignore them and focus on the more attractive new people who walk through your doors, hoping they’ll go away and other churches will meet their needs? – In sermons, Bible studies, and classes, do you send the false message that Christians should not expect trouble, pain, or sickness? that happy, comfortable, and “victorious” life is the norm? – When was the last time mental illness was mentioned in a sermon, in a way that normalized it? – Does your community expect people to have it all together when they walk through the doors? – Do you expect people to be “cured” before finding a place to serve? If you’re a church leader who doesn’t happen to be a qualified mental-health professional, do you recognize and acknowledge your limitations? If yes, that’s a good thing. Do you refer people to professionals who can help with disorders and provide therapy and medication as necessary? This is also a good thing. But do you then walk away and assume your job is done? Mental-health care is incomplete without spiritual nurture and loving friendship. Does your church push people toward psychiatric care but leave them without adequate spiritual guidance and a kind friend to walk alongside them? Do you provide practical help (hospital visits, meals, rides, financial assistance) to people with other health crises but ignore these basic needs in families affected by mental illness? Are you ignoring the families of people with mental illness? 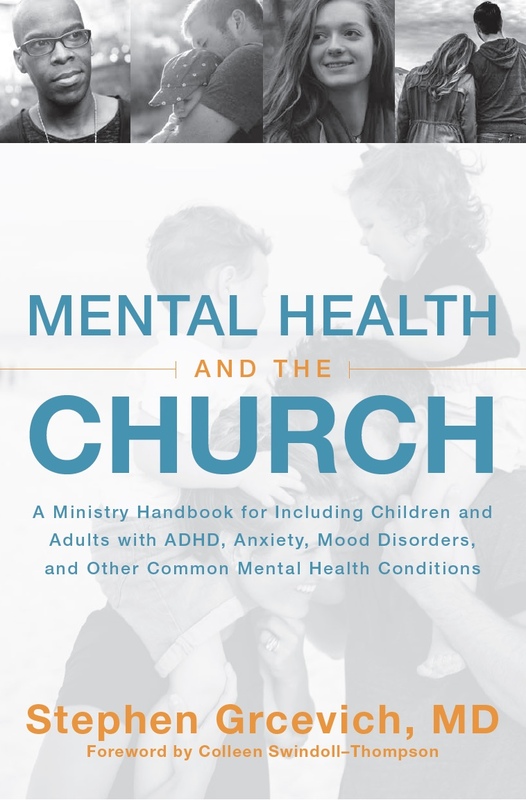 My own survey showed that only 56.8 percent of church leaders have reached out to the family of someone with mental illness within their congregation. Have you asked families what they need? Are you prepared to help as you can? Do you consult with mental-health professionals? If people in your congregation are receiving care, you can request that they sign consent forms to allow you to collaborate with professionals and discuss the best ways for your church to support these members’ mental health. If you don’t receive that written consent, you can still discuss the best ways for you to support people with various types of mental illness. As in Nevada’s state mental-health care system, in your church are people getting caught within a beauracratic system with no one really aware of or responsible for their needs? Are you relying on “trickle-down ministry,” focusing on your core leaders and expecting them to lead the next tier, and so on? Is anyone in your church likely to feel responsible for a good support system, or does everyone assume someone else will take care of it? Are you willing to adapt your schedules, plans, and expectations in order to deal compassionately with people in crisis? Or do you expect everyone to follow the same process and grow within the same system? Are you willing to let people with mental illness do ministry in your church? Mental illness is rarely predictable, but it is not a spiritual or relational death sentence. People affected by mental disorders don’t always fit into a tightly scripted service with high production values. It can hard to find their place in a segmented congregation. But with understanding and grace, you can give them opportunities to serve according to the gifts God has given them. Allowing people to engage in ministry when they’re functioning well, and take a break when they’re not, can provide an incredible support system. Mental illness is the sort of thing we don’t like to talk about. It doesn’t reduce nicely to simple solutions and happy outcomes. So instead, too often we reduce people who are mentally ill to caricatures and ghosts, and simply pretend they don’t exist. They do exist, however—statistics suggest that one in four people suffer from some kind of mental illness. And then there’s their friends and family members, who bear their own scars and anxious thoughts, and who see no safe place to talk about the impact of mental illness on their lives and their loved ones. Many of these people are sitting in churches week after week, suffering in stigmatized silence. In Troubled Minds Amy Simpson, whose family knows the trauma and bewilderment of mental illness, reminds us that people with mental illness are our neighbors and our brothers and sisters in Christ, and she shows us the path to loving them well and becoming a church that loves God with whole hearts and whole souls, with the strength we have and with minds that are whole as well as minds that are troubled. Available at Amazon and Christianbook.com. 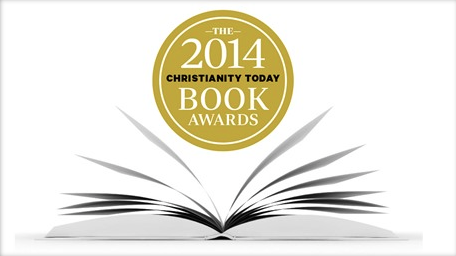 This entry was posted in Families, Key Ministry, Leadership, Mental Health, Resources and tagged Amy Simpson, Christianity Today 2014 Book Awards, church, Disability Ministry, Inclusion, mental illness, National Mental Health Month, Troubled Minds. Bookmark the permalink. Good … You mentioned the right stuff. Yet we need to keep going … we need to have “the people with mental ‘illness’ have the power to share this, first-person, in their faith communities. AND we need cross-disability ‘cross collaboration’ … where parents of kids with … and adults with … start actively, consciously, deliberately… reaching out to one another to see that we all share the same pain only through different channels. Greetings to you in the most highly exalted Name of Our Lord and Savior, Jesus Christ. It is really a great privilege that God has given us to be able to meet you through this letter and share with you about our Ministry in India. I was so surprised on seeing your website on coming to know about your work. We felt very happy that you are doing your work. I am a converted Christian. We too hail from poor family. We have no move able or immovable properties. I lost my Father in my childhood and I strived hard for my education. I always used to think about my widow mother who led a miserable life without husband at the early stage in her life. Remembering her miserable life of my mother as young widow, I am always in a thought that no women face such problem in their life. Besides, I am deprived of myself very much due to my poor education. We come down from our native place to this remote village to serve the poor illiterate villagers. Being an educated homemaker, I used to assist my husband in his gospel services at the initial stage after my marriage. Now, I too inspired with his voluntary service and dedicated to extend my helping hand to the poor women folk in my village, who are all illiterates depending upon daily wages and leading their lives below the poverty line who are down trodden people. Through our village visits, we have seen many aged women, and they are coming to us and asking for our help. These women sometimes try to kill themselves to avoid slow starvation. They are neglected by their children and relatives, who consider them useless, and not worthy of food. They will send them out to beg on the street, and sleep in the footpath. Many times, we have received these kinds of women and gave them medical help, food to eat, and used clothes. We try to strengthen them with the words to go back to their homes, and we also give counseling to their children and to their relatives. We have started sewing centers in the villages. Through these services, we are able to give training to the young girls, who are illiterate, and have been turning aside to criminal deeds. Here in our country, if a mother gives birth to a female child, the mother and father, and their relatives, will not be happy, because, it is difficult to raise a female child. They neglect to provide education. They feel that, since the female child will become a part of the extended family of her husband after getting married, it is not worthwhile to invest in her upbringing. Besides this, they have to save a significant sum of money to give dowry to the bridegroom. If the girl does not have an education, no boy will come forward to ask for her hand in marriage, considering that she is not useful to earn money. Here, through our sewing center project, we are helping to provide a new life for the teenage girls. We are paying salaries to the teacher, and we are selecting 1o girls per class, as the course will last 6 months. They will learn how to stitch, make shirts, shorts, pants/trousers, blouses, T-shirts, jackets, sari pall, baby dresses, lunge, etc…, After finishing the course, we will give them a certificate of graduation in sewing, and depending on the needs of the students, we will supply them with a sewing machines for their business. We are seeing great results through this project, which helps to alleviate their poverty. I am striving hard extending my helping hand to the (1) poor widows and (2) orphan women providing some clothes and monthly support to the old age women. We are doing all works without any support. Only our churches offerings. Sometimes, we are failing to provide monthly support to the widows, old age orphan women. So that, they are suffering a lot during those months which cannot be narrated in terms of words. During those occasions, I am depriving myself for my inability, but my financial sources not permitting me to do maximum justice for their happy life. My ambition is that I have to start Old age orphanage for women at least to extend my support and help to those distressed widows in our village and surrounding villages. I am running Sunday school and youth meetings in my church. However, my poor financial position is not permitting me to step forward. There is no support to us from any place for all these years and we are vesting our own money to extend our help to the possible extent to the poor down trodden people of our village. Please pray for me and for my Gospel work to serve the poor women folk. I feel that you will receive so many mails from our country. Please read our mail and reply at your convenience. Ours is a very small ministry. (1Timothy 5; 3), (James 1; 27) we are doing our service without any support for all these years. On reading your web site, we are much interested to work with you. We are waiting for your valuable reply. Great word. I personally would not use the word inadvertently. Intentionally yes. It’s no different to me than being a teacher. Teachers need to know what issue their students are having when they are struggling. Whether it be mental, emotional or physical. There are no “blind eye” so to speak. Teachers have to find answers to help students succeed and learn if necessary. I think this is where church misses the mark and has continually. They want to make everything a spiritual issue and not all issues are. I think continuing to makes excuses and not hold churches accountable is the issue. If they are in the people business then get in the game. Learn about people. Jesus did. Thanks for your comments. I don’t disagree.